Fish farming – coming to a coastline near you? – Forest & Bird Fish farming – coming to a coastline near you? Fish farming – coming to a coastline near you? Blogger: Forest & Bird’s North Island Conservation Manager, Mark Bellingham. As an island nation, we’re in a prime position to take advantage of one of the world’s fastest growing industries: aquaculture. Fish farming has been practised for eons: the Gunditjmara tribe in Australia practised eel husbandry back in 6000BC, the Chinese farmed carp in 2500BC and the Romans started a Christian cult of pond-based fish farming. 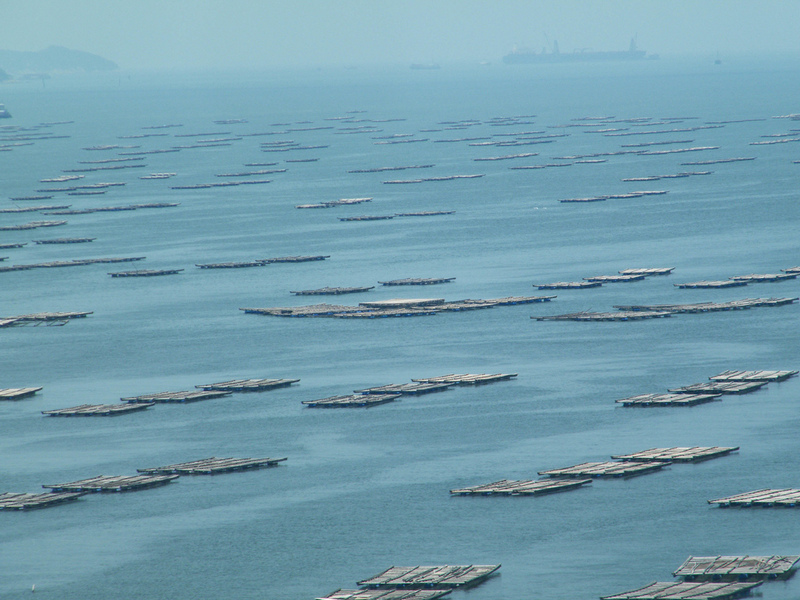 Fish farming in Hong Kong - is this the way we're heading? As transport grew easier, fish-farming became less of a necessity. And over history, its popularity has waxed and waned. Now, with nearly 7 billion people to feed, it is on the rise. For the past few decades Asian countries such as China & Bangladesh have been filling their coastlines with farms that stretch for hundreds of kilometres. New Zealand has made a slow start. It made its first foray into aquaculture in the 1960s but it wasn’t until the 1990s, when National came to power that we truly tried to kick-start this industry in earnest. It proved disastrous – rather than rolling-out a few carefully-managed farmlets, they offered up large areas of the coast (some up to 10,000ha). Conservationists pointed to the polluted black sludge under mussel and salmon farms. Coastal residents were up in arms because buoys, oyster-frames and sea cages spoilt their much-coveted views & swimming areas. And boaties bemoaned the fact that their prize fishing spots would be taken from them. Now the National government is seeking to triple the size of the industry and bring in one billion a year by 2025 by loosening legislation and throwing in a bonanza of stimulus packages. To do this, it’s orchestrating what looks like another monumental fight . It’ll pitting environmentalists, boaties and residents against large fishing companies and a bunch of shoestring councils that are liable to say ‘yes’ in the face of mounting workloads. 1. Shorten the time and the opportunities for the public to comment on marine farms in their area. 2. Allow marine farms to locate almost anywhere around our coasts. There are no limits for much of the Bay of Plenty, Gisborne, Taranaki, Manawatu, Wellington, Canterbury, West Coast and Otago. 3. Allow the Minister for Aquaculture to make changes to the regional coastal plan if it prohibits marine farming. At the moment, there are designated geographical areas for aquaculture in Northland, Auckland, Waikato, Tasman, Marlborough and Southland. The changes to the Act will allow the Minister to unilaterally open up these areas to more marine farming. 4. Allow new marine farming areas in the Firth of Thames and Tasman/Golden Bay without any public comment. 5. Give marine farmers a 30 year lease with rights of renewal on a first-in basis. 6. Give marine farmers the right to use these coastal waters for free. We lose the coastal area and farmers get it for free! 7. Give powers to a Government Aquaculture Unit that will promote the industry and approve applications. Submissions close on 11 February 2011. Without proper environmental input farms can be placed in the most delicate areas – at a great cost to our environment. If there’s no current in the area the sea-bed can become littered with faeces and food – turning it into a black desert and giving life to algal blooms. And farms maybe placed in the path of migratory mammals – such as our humpback and sperm whales. Ultimately the buck stops at the Ministry of Fisheries. And if 75% of the companies that have fishing rights in the area agree to the marine farm, it will go ahead. Trouble is, many of our fishing companies have some sort of aquaculture interests, so these farms are likely to to be met with very little resistance. I think we can grow our aquaculture industry – just not in this manner. How about getting boaties, environmentalists, residents , NIWA and industry representatives together with a large map and plotting suitable areas for marine farms before these things are dragged through councils, consultants and committees? How about doing the science so we know what areas are untouchable? If can plot significant marine systems and discover the path of our marine mammals migratory routes, we’ll be in a better position to make an informed decision on where these farms should be placed. How about using realistic time-frames so the public and communities can comment on these farms, so they’re done in consultation with those who care about these waters? Are these really such ludicrous ideas given the ballyhoo that was created last time?